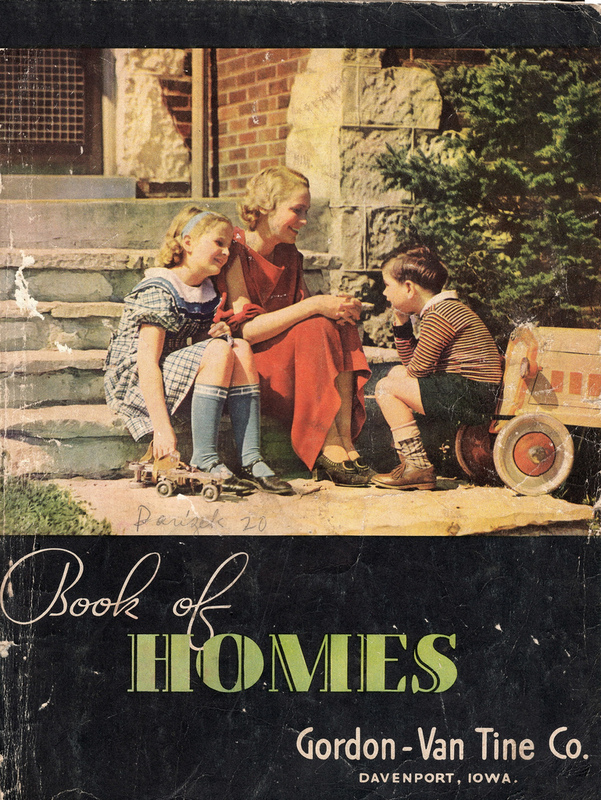 Researcher Rachel Shoemaker recently posted this cover of the Gordon-Van Tine Company's Book of Homes from 1935. Photo is copyright 2013 Rachel Shoemaker and can not be used or reproduced without permission. This is my favorite cover of all the house catalogs I've seen to date. It sends a powerful message about Gordon-Van Tine homes without even showing the home. It communicates to the reader the sense of security that home ownership provides. The family is enjoying life and creating memories with the house as the backdrop. Note that the father is not in the photo... he is the reader and Gordon-Van Tine's target customer. The hairstyles, the shoes, the skates, the colors... love the whole thing. It's a glimpse into a simpler, more relaxed era.